WATCH: Did 'Pastillas Girl' already pick her ‘Mr. Pastillas'? MANILA, Philippines - Online sensation Angelica Jane Yap, 21, popularly known as ‘Pastillas Girl’ has been making waves in “It’s Showtime” since she started guesting. Yap's quest to find true love specially for her 'Mr. 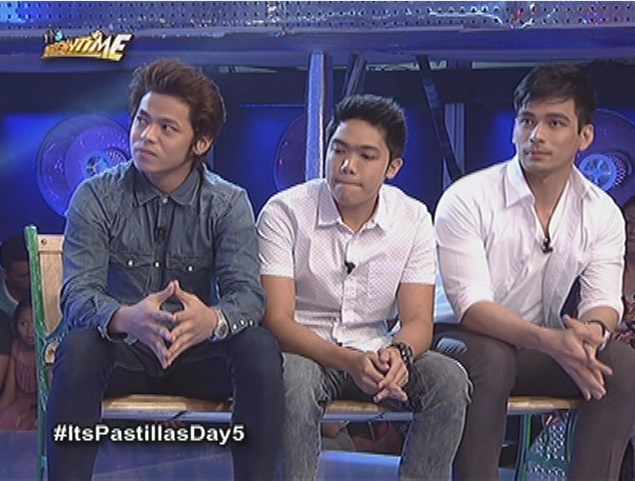 Pastillas' continues. JESS, TOPHER or EVAN: Has 'Pastillas Girl' found her 'Mr. Pastillas'? Host Vice Ganda and the rest of the gang have taken turns in giving love advice to the breakout star of the internet. The search for her ‘Mr. Pastillas’ looks to have taken a positive turn as Christopher 'Topher' Labao seemed to have gained an advantage over Jess 'Jessy' Verano Senido and Evan Vergogna when ‘Pastillas Girl’ decided that the young man from Bulacan deserved a chance as she was impressed with Topher giving importance to family, especially his mother who was a special guest on the show. Her choice wasn’t easy as ‘Pastillas Girl’ went back and forth the three rooms in which the potential ‘Mr. Pastillas’ waited for her to burst through the door and gaze on her bright smile. Disappointed, Jess, who flew from Bacolod and has been absent for work for the week, has said that he’s going back after learning of Pastillas Girl’s decision of choosing Topher. Evan, the third ‘Mr. 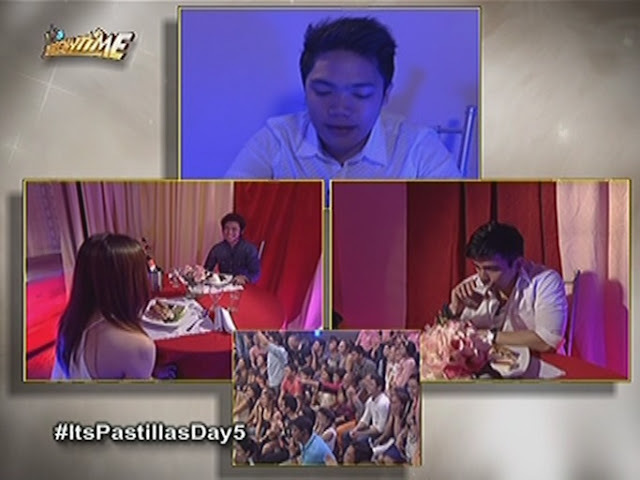 Pastillas’ candidate also decided that he should get back to work after learning of Angelica’s choice.